Sometimes you just need to indulge in the finer things in life. I’m showing you How To Make Balsamic Glaze for the Ultimate Sandwich. The most amazing ingredients come together in this simple yet fancy recipe. 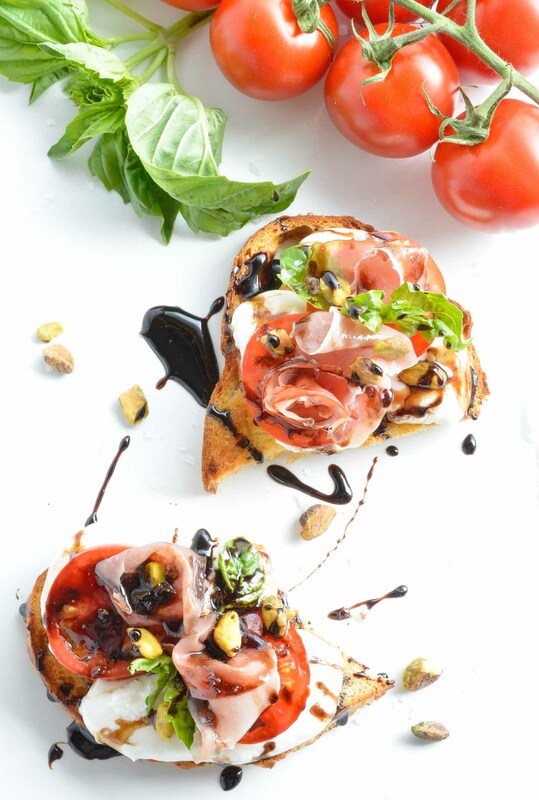 Sliced sourdough, prosciutto, burrata cheese, fresh tomatoes, basil, pistachios and balsamic vinegar glaze. 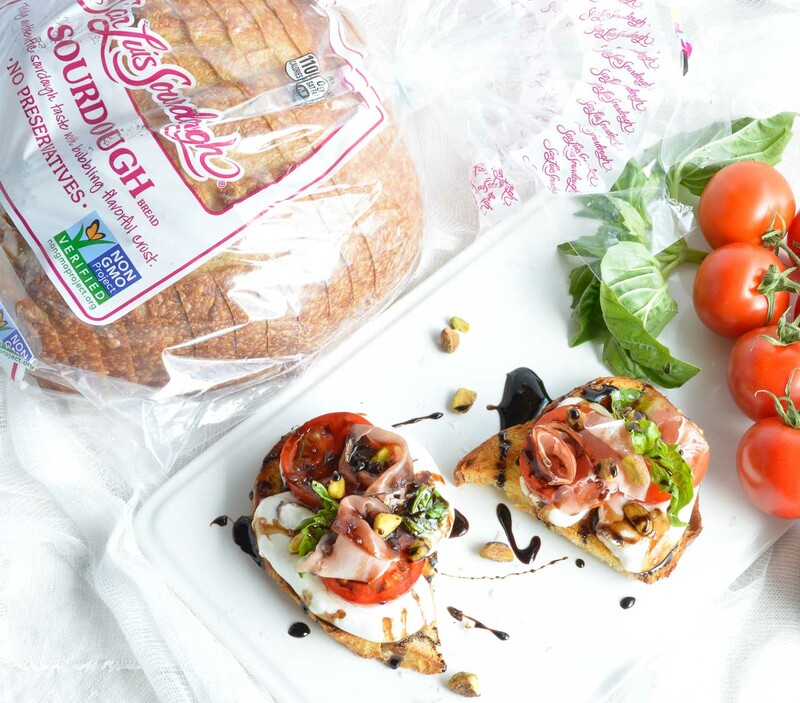 I am proud to be partnering with San Luis Sourdough® breads to bring you this tasty recipe! So I treat myself to meals like this fairly often. Hey, you gotta live a little! Toasted sourdough bread, creamy burrata, fresh tomato and basil, salty prosciutto and pistachios. But it is the Balsamic Vinegar Glaze that really takes this over the top. Once you learn How To Make Balsamic Glaze you will be wondering what took you so long. 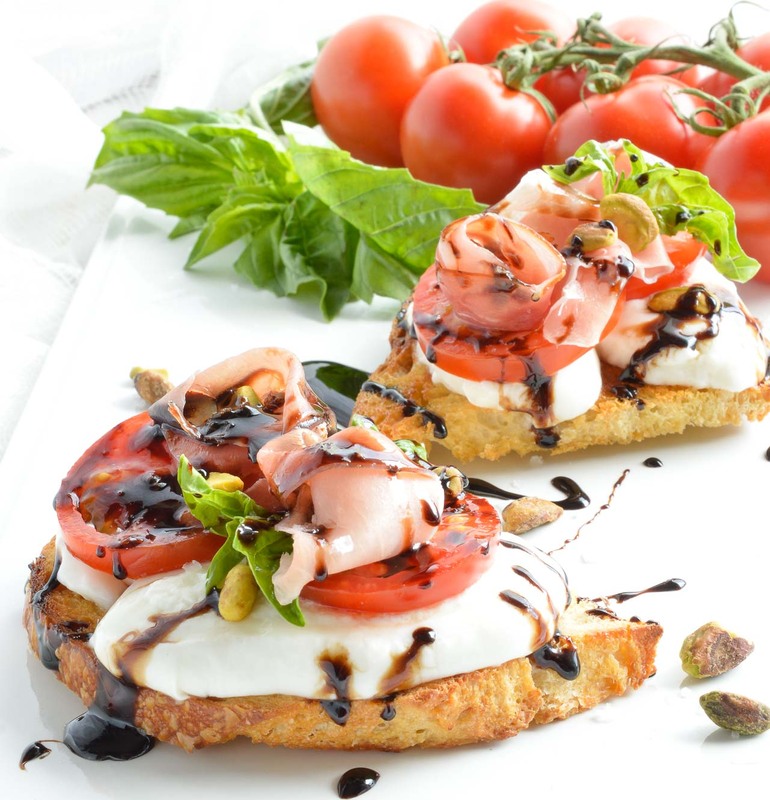 This recipe is about assembling really fantastic quality ingredients to make the ultimate open-faced sandwich. Start with San Luis Sourdough® breads. San Luis Sourdough breads are hand formed, using a slow baking process to give it that authentic Sourdough taste and texture. It is great as a soft sliced sandwich bread or for a crisp toasted start to our amazing meal! 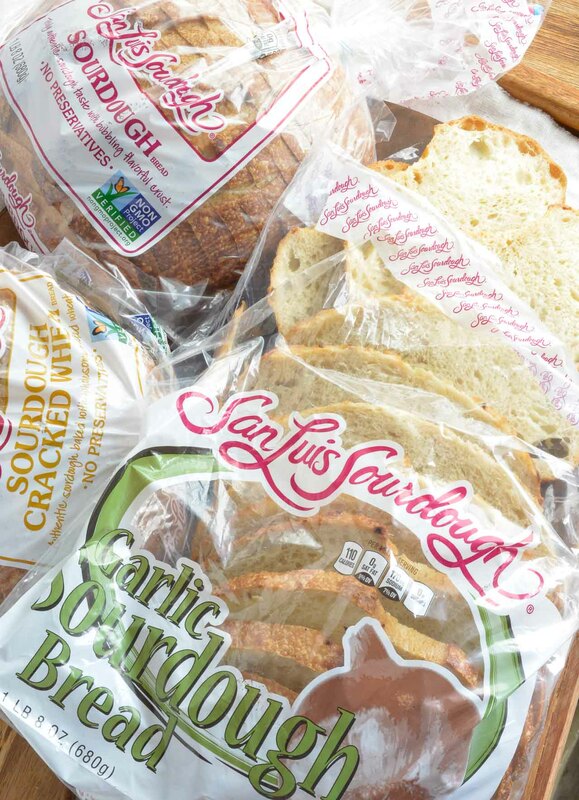 Plus, San Luis Sourdough breads have no preservatives and are locally baked right here in sunny California! Some varieties are also Non-GMO Project Verified. Really though, it is all about the texture and flavor! San Luis Sourdough breads have what I consider the perfect thickness and feel. Not too soft and not too firm. Perfect for sandwich making. Hey! I’ve said it before . . . I take my sandwiches very seriously. For these open faced sandwiches I used the Garlic Sourdough Bread. Everything is better with garlic, right!?!? Just toast your bread. 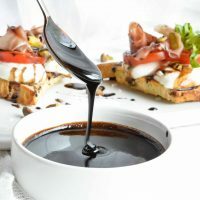 Make this balsamic glaze. Layer on all the amazing toppings. Then Stuff Yo’ Face! <— That last step will come naturally. 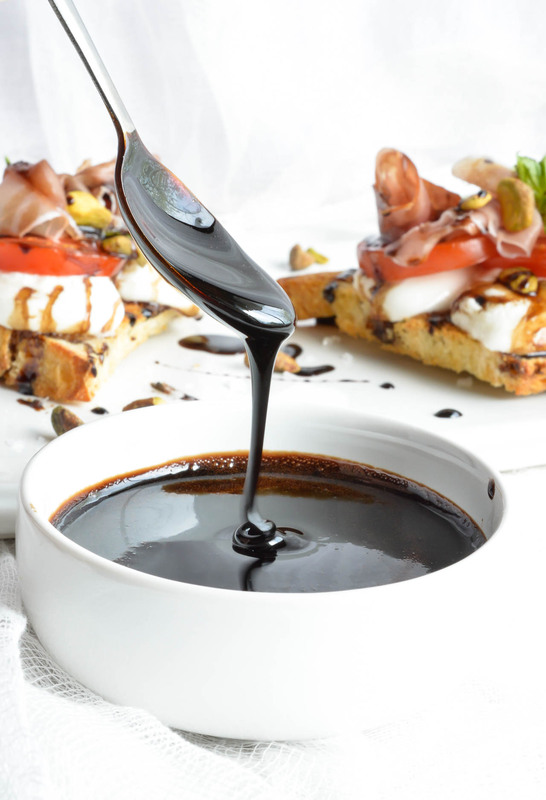 Once you learn How To Make Balsamic Glaze you will want to put it on just about everything. And it can go on just about everything. Have you ever eaten something so beautiful? I may just print and frame this photo to hang on my wall. Except I would get hungry every time I walked passed it. There you have it, the Ultimate Sandwich. A little bit of preparation, quality ingredients and the need to indulge. Be sure to check out San Luis Sourdough breads on Facebook to learn more about their delicious products made with simple ingredients. In 3.5qt pot over medium heat; bring vinegar, sugar and salt to a simmer. Reduce heat to medium/low and continue to gently simmer for approximately 15-20 minutes or until mixture decreases by almost half and becomes syrupy. Whisk occasionaly while cooking, especially the last 5 minutes. Transfer balsamic glaze to clean, airtight container and refrigerate to cool. Glaze will thicken as it cools. If your glaze thickens too much, whisk in a splash of balsamic vinegar until desired consistency. Store in refrigerator and use within 1 week. Yields: approximately 1 cup. Cut sourdough slices in half, brush both sides with olive oil and transfer to baking sheet. Bake for 5-6 minutes, flip slices and bake for 5-6 more minutes or until golden brown. 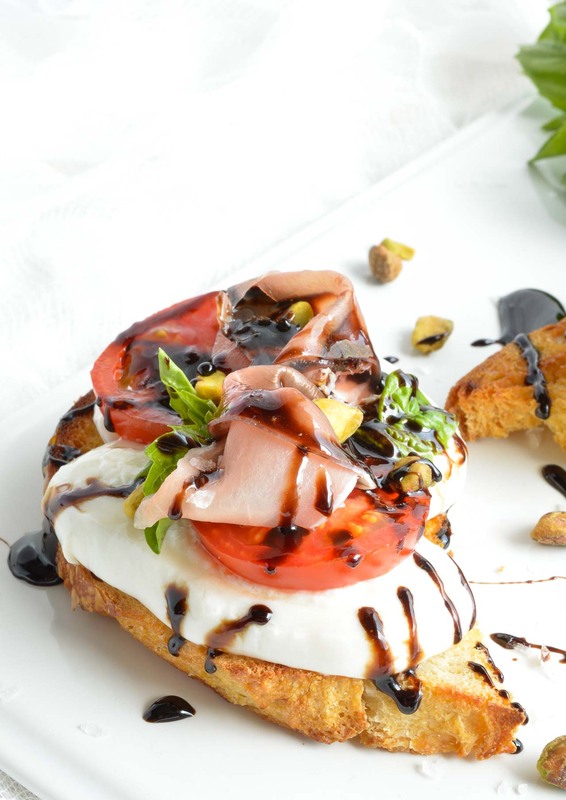 Remove bread from oven and immediately top with cheese, tomato, prosciutto, basil, pistachios, balsamic glaze and sea salt. Take a little time to treat yourself. What isn’t this stuff good on? So delish. Can’t wait to have some homegrown tomatoes to drizzle this on. Looks fabulous! Oh my gosh – my stomach literally just rumbled reading this!!! 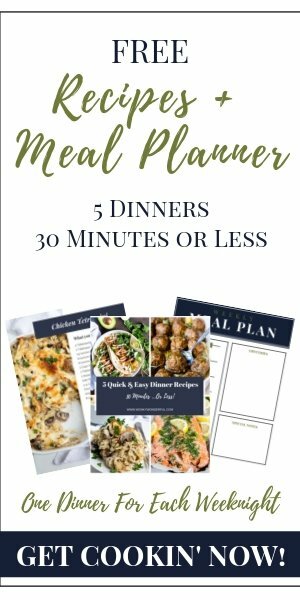 So easy and so flavorful! Thanks Liz! I love easy-delicious food. Awe, brings back memories for me. I lived in California until about five years ago, and that was our go to sourdough! Love love love it. Isn’t it just the best!?!? I love a good sourdough slice. Balsamic glaze is the BEST!! 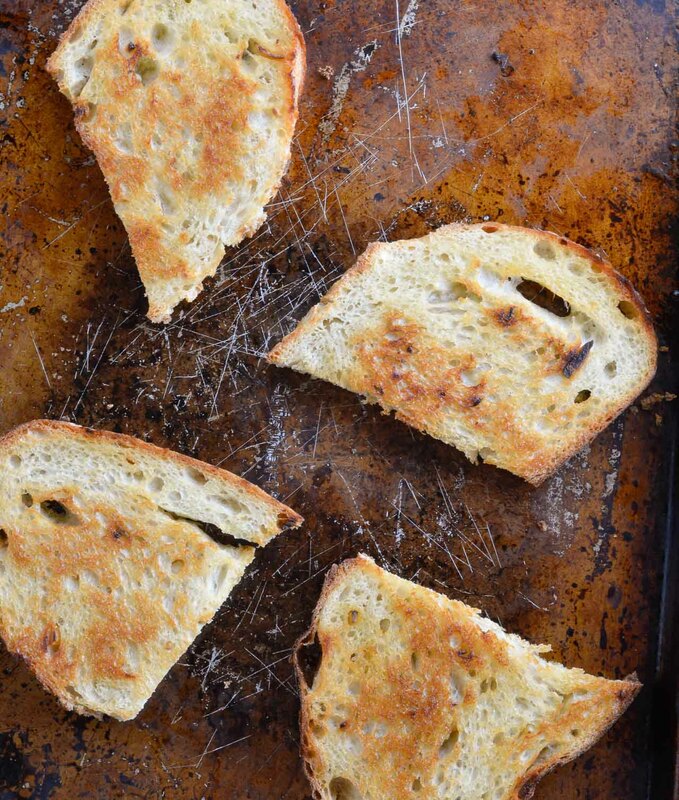 Love it on this sandwich with that toasted bread….amazing! Balsamic glaze is my LOVE! It’s so perfectly tangy sweet! 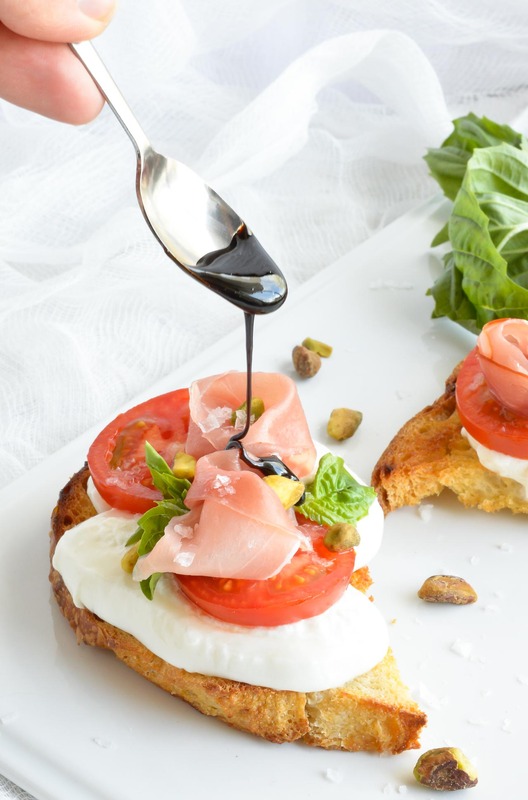 Now I want some toasted sourdough with ricotta, tomatoes and this delicious balsamic glaze!